Skulls and Bacon: Baconnaise - Launch Party! So you may have already heard that the fine people over at Bacon Salt are launching a new product, Baconnaise, in a few weeks. 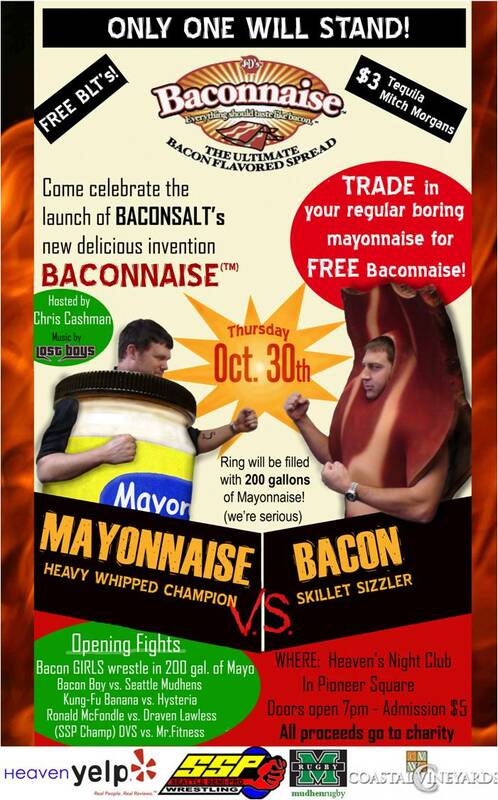 I'm already a huge fan of bacon and mayo, so I'm positive I'm going to love Baconnaise. If you live in Seattle, you may want to check out their product launch, it sounds like it's going to be a blast! MAYONNAISE WRESTLING in Seattle at Heaven's Nightclub in Pioneer Square on Thursday, October 30th starting at 7pm. Free BLT's, $3 tequila and Mitch Morgan's (the drink that inspired Bacon Salt - Maker's Mark whiskey with a bacon garnish), and a no-holds barred wrestling match between a giant slice of bacon and a giant jar of mayonnaise. Undercards include their intern Matt dressed as Bacon Boy vs. the Seattle Mudhens womens' rugby team, the Seattle Semi-Pro Wrestling League's all-star wrestlers, and The Bacon Girls - all wrestling in a ring filled with 200 gallons of mayonnaise. A limited number of people can bring their regular, boring jar of mayonnaise and exchange it for a jar of Baconnaise, available in Regular or Lite. 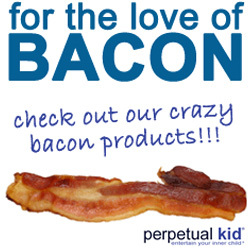 You can read more about it over at the Bacon Salt Blog.